Fact: Poker is considered a game of chance in Pennsylvania. That would be the kiss of death for poker in most states. But it’s nothing to worry about in Pennsylvania – at least not yet. When you read our write-up below you’ll see why. What you need to know now is that poker players do have options. There are TONS of casinos to explore. Most of them spread poker games, too. And we expect Pennsylvania to expand even more over the next few years. Are Social Poker Games Okay? The bad news is that Pennsylvania doesn’t exempt or permit social poker games in their statutes. This nips home poker games in the bud. Though the focus appears to be more on the host and/or promoter of the game. I’ve not seen or heard anything about local law enforcement busting home poker games in this state. So, you could you probably get away with a home game if you kept it quiet and made sure no one profited from the game. Right now it’s illegal to play online poker in Pennsylvania. But it looks like things will change for the better, and sooner rather than later. After seeing the progress and moderate success the other legal states have had, Representative Tina Davis announced she would table a bill to legalize and regulate online poker in the state. Her first bill was set-up similar to New Jersey in that all online poker sites would have to have brick and mortar ties within the state. If you wanted a license you’d have to be prepared to spend $5 million up front and an additional $500,000 every 3 years (for renewal). Each casino would have to pay the state an additional 28% (of the gross gaming revenue), too. It doesn’t look like this bill is moving forward, though. But the future of online poker is still bright as ever. The state has held several committees since Davis’ bill. And it sounds like regulating online poker isn’t a matter of if, but a matter of when it happens. The state’s just taking a cautious and analytical approach to it. Home poker is illegal. Online poker is, too. What’s a poker player to do? Well, there’s no shortage of casinos in Pennsylvania, and most of them do spread poker games. There are 12 casinos. Collectively, they do more than $1 billion in revenue each year. I imagine that success is thanks in part to their addition of table games. Up until 2010, they only allowed slots and electronic games. The state then passed a law that allows casinos to offer table games (think blackjack, pai gow poker, 3-card poker, etc) and poker. 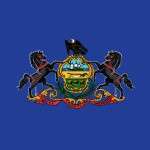 Experts suggest we’ll see online poker in Pennsylvania sometime in 2016 or 2017. And for once – I agree. That said – some people do think there will be bumps in the road. Partly because Tim Corbett (former governor) was defeated in the mid-term elections. Despite not being gun-ho about online poker, it was assumed he’d pass an online gambling bill anyway. The new guy – Tom Wolf – is the new governor. He is opposed to online gambling. That would be horrible news except that the state needs the extra revenue. Online poker (and other forms of gaming) can easily do that for them. So, for that reason we’re still optimistic we’ll see online poker regulation in this state, and most likely sooner than later. Stay tuned.